Leave it to path-breaking Maestra Carolyn Kuan to upend yet another classical music tradition by inviting concertgoers not to turn off their cell phones but to turn them on! Pre-concert publicity had encouraged them to download a free bell-ringing app and participate in one piece on the program. But first HSO Board Chairman Jeffrey Verney dedicated the orchestra’s performance of the opening work, Faure’s Requiem, to the people of Paris as they recover from the terrorist attacks there last month. This is the gentlest of all Requiems, and Kuan and the HSO gave it a fresh, flowing account. 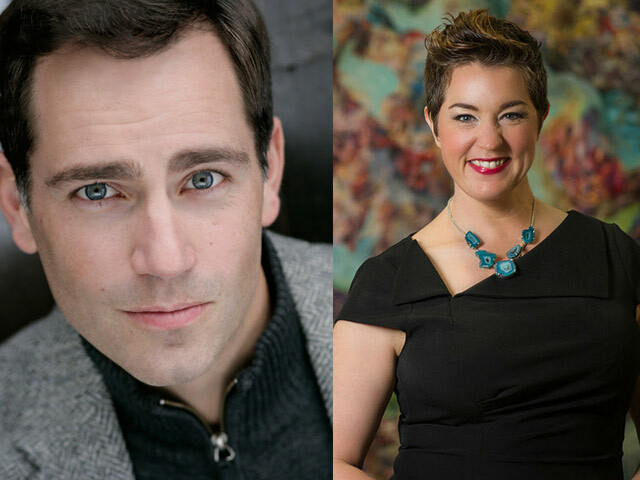 Two world-class soloists – soprano Melody Moore and baritone Matthew Worth – made the most of their solo opportunities, including a ravishing “Pie Jesu” from Moore. But they never overshadowed the 160 men and women of the Hartford Chorale, who sang with careful modulation and total conviction. The Hartford premiere of Jennifer Higdon’s short orchestral piece “blue cathedral” then lifted the solemn mood to a transcendent level. Commissioned in 1999 to mark the 75th anniversary of the Curtis Institute of Music, where she teaches, the piece also became a memorial for her brother, who died of melanoma while she was writing it. The colorful orchestration includes Chinese exercise balls played by many orchestra members as they lay down their instruments in the quiet closing moments. Kuan cued the audience to ring their phones in the last 20 seconds, and the sound was delicate and shimmering. The piece soared in a luminous rendition by all participants. Intermission was followed by a full-blooded presentation of substantial excerpts from the first two parts of Handel’s “Messiah,” culminating in the famous “Hallelujah” chorus that ends Part II. Moore and Worth returned to excel in their multiple solos, and the Hartford Chorale impressed throughout, hushed in “For unto us,” nimble in “All we like sheep,” and jubilant in the finale. All sections of the orchestra played their hearts out. It was encouraging to see a large number of young people in attendance, particularly for the overdue introduction of an outstanding contemporary American woman composer to local audiences.